Are you finding the plugin which helps you load more items? There's not more waiting. 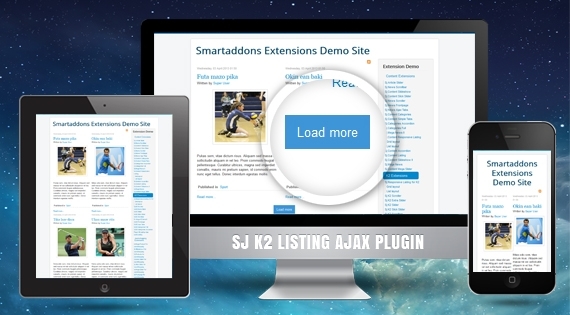 Today, we're pleased to announce that SJ Listing Ajax for K2 has been released. The plugin supports to insert Load more button in item-list view of K2 Component. This helps load items on the font-end just by clicking on Load more button without reloading its page. pSJ Listing Ajax for K2pp supports Ajax to load more items, this is very flexible in config the number of items that are loaded more. This plugin is developed for K2 component. pPlease visit our demo to see how nice the plugin works.